Learn how to recognize the beginner crochet stitches and how to crochet them! Save this cheat sheet for later. 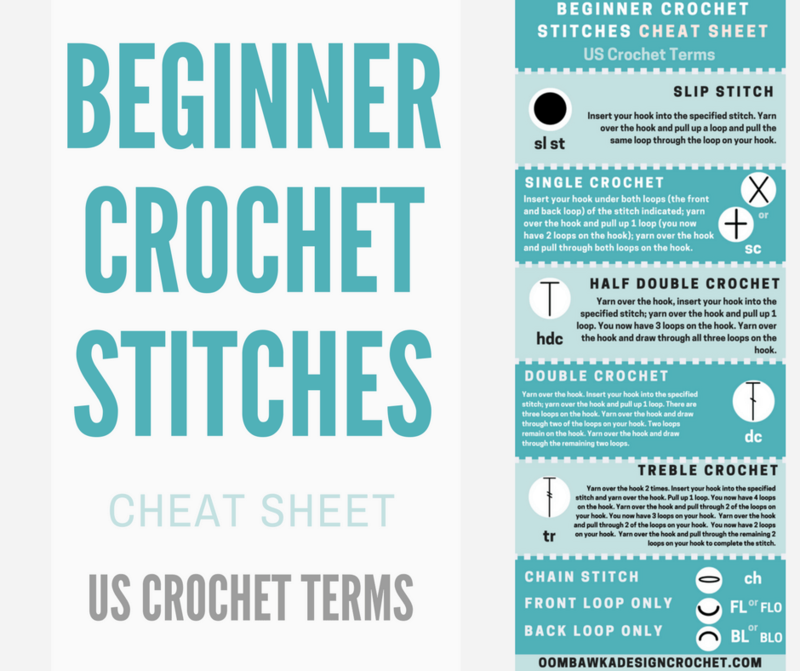 This is the US Crochet Stitch Cheat Sheet. A quick video tutorial is available to show you how to make each beginner stitch.